October 4th Public Meeting featuring Doug Burks! Our next ISSA meeting is Thrusday, the 4th of October and features Doug Burks! Our next ISSA meeting is Tuesday, June 26 and features Moses Hernandez! Our next ISSA meeting is Thursday, March 1 and features Dave Hoelzer! Our next ISSA meeting will be Thursday, July 20 and will feature Cindy Murphy! Our next ISSA meeting will be Thursday, February 16 and will feature Mark Bristow! Our next ISSA meeting will be Thursday, December 1 and will feature Seth Misenar! Our next ISSA meeting will be Tuesday, October 11 and will feature Bobby Kuzma of Core Security. Our next ISSA meeting will be Thursday, September 1 and will feature Jason Fossen presenting "Exploratory Surgery with Windows Process Hacker". Our next ISSA meeting is **this Thursday** May 19 and will feature Ovie Carroll, Director of the DoJ Cyber Crime Lab, Computer Crime and Intellectual Property Section (CCIPS)! Ovie will present "Current and Emerging Trends in Digital Forensics." Our next ISSA meeting will be Thursday, March 31 and will feature Doug Burks and Security Onion! This free meeting is open to the public, so please share with your friends and security colleagues! We'll also have a report from our bi-annual financial audit and we'll be electing officers for the next 2-year term, so please make every effort to attend if you're a member. Doug Burks started Security Onion in 2008 to provide a comprehensive platform for intrusion detection, network security monitoring, and log management. Today, Security Onion has over 200,000 downloads and is being used by organizations around the world to help monitor and defend their networks. In 2014, Doug started Security Onion Solutions LLC to help those organizations by providing commercial support and training. 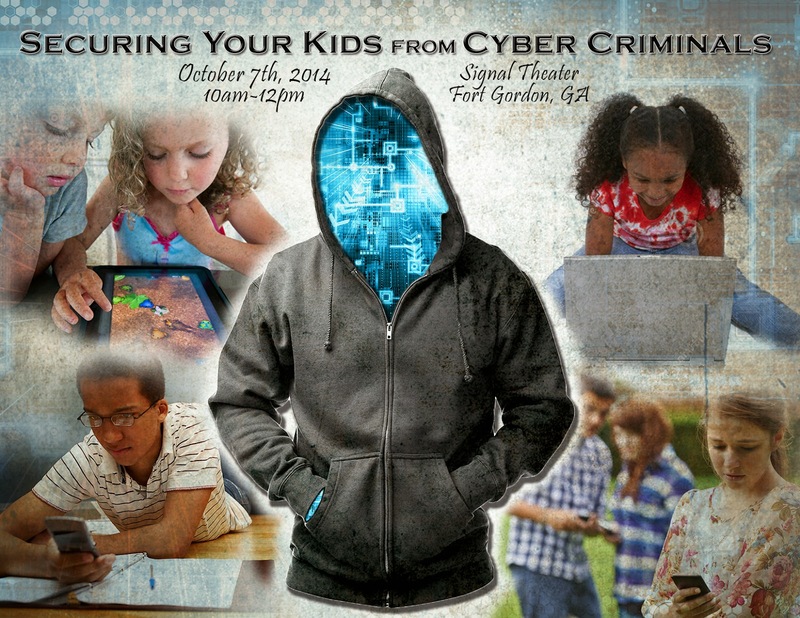 Doug is a CEO, public speaker, teacher, former president of the Greater Augusta ISSA, and co-founder of BSides Augusta, but what he really likes the most is catching bad guys. Our next ISSA meeting will be Thursday, December 3 and will feature Jim Salter! This free meeting is open to the public, so please share with your friends and security colleagues! 38 million accounts and 9.7 million credit card transactions from the notorious adultery site leaked this year. How does this affect you? Probably more than you think, whether you were in AM's databases or not. What can we learn from the data exposed in the breach, and what does it tell us about the security posture of not only website owners, but internet users themselves? Jim Salter (@jrssnet) is an author, mercenary sysadmin, and father of three—not necessarily in that order. He got his first real taste of open source running Apache on his very own dedicated FreeBSD 3.1 server back in 1999, and he's been a fierce advocate of FOSS ever since. He's the author of the Sanoid hyperconverged infrastructure project (http://sanoid.net/). And he's written articles for Ars Technica on everything from next-gen filesystems to NAS distributions. Our next ISSA meeting will be Thursday, November 5 and will feature Tony Sager! This free meeting is open to the public, so please share with your friends and security colleagues! Tony Sager is a Senior VP and Chief Evangelist for the Center for Internet Security. He leads the development of the Critical Security Controls, a worldwide consensus project to find and support technical best practices in cybersecurity. His “volunteer army” cuts across all segments of the industry to identify practices that will stop the vast majority of attacks seen today, and then leads projects that will validate, measure, scale, and share these practices for widespread adoption. Tony also serves as the Director of the SANS Innovation Center, a subsidiary of The SANS Institute. Tony retired from the National Security Agency in June 2012 after 34 years as an Information Assurance professional. He started his career in the Communications Security (COMSEC) Intern Program, and worked as a mathematical cryptographer and a software vulnerability analyst. After moving into leadership positions, Tony helped found and then led the Systems and Network Attack Center, oversaw all Red and Blue Team projects, established and led security product evaluation teams, helped guide the agency's top talent development programs, served as the founding chief of the Vulnerability Analysis and Operations Group (comprised of 700 of the NSA's top technical cybersecurity specialists serving the defensive mission), and was the Chief Operating Officer for the Information Assurance Directorate. Tony also led the release of NSA security guidance to the public starting in 2001, and greatly expanded NSA’s role in the development of open standards for security. Mr. Sager holds a B.A. in mathematics from Western Maryland College and an M.S. in computer science from The Johns Hopkins University. Tony is also a civilian graduate of the US Army Signal Officer Basic Course and the National Security Leadership Course. Our next ISSA meeting is this Tuesday July 28 and will feature Dr. Johannes Ullrich of the SANS Internet Storm Center! Our next ISSA meeting will be Thursday, June 25 and will feature Hal Pomeranz! This free meeting is open to the public, so please share with your friends and security colleagues! Windows event logs contain a bewildering variety of messages. But homing in on a few key events can quickly profile attacker activity. From administrator logins, to scheduled tasks, to entries related to system services, and more-- the event logs are a one-stop shop. Learn to "crack the code" and enhance your investigations by adding event log analysis to your toolset. Hal Pomeranz is an independent digital forensic investigator who has consulted on cases ranging from intellectual property theft, to employee sabotage, to organized cybercrime and malicious software infrastructures. He has worked with law enforcement agencies in the US and Europe and global corporations. Hal is a SANS Faculty Fellow, and a respected author and speaker at industry gatherings worldwide. Please mark your calendar and make plans to attend! Our next ISSA meeting will be Tuesday, March 31 and will feature Eric Conrad! This free meeting is open to the public, so please share with your friends and security colleagues! This talk will help you face this problem and describe how to move your organization to a more defensible security architecture that enables continuous security monitoring. SANS Principal Instructor Eric Conrad is lead author of the book The CISSP Study Guide. Eric's career began in 1991 as a UNIX systems administrator for a small oceanographic communications company. He gained information security experience in a variety of industries, including research, education, power, Internet, and health care. He is now president of Backshore Communications, a company focusing on intrusion detection, incident handling, information warfare, and penetration testing. He is a graduate of the SANS Technology Institute with a master of science degree in information security engineering. In addition to the CISSP, he holds the prestigious GIAC Security Expert (GSE) certification as well as the GIAC GPEN, GCIH, GCIA, GCFA, GAWN, and GSEC certifications. Eric also blogs about information security at www.ericconrad.com. Our next ISSA meeting will be Tuesday January 27 and will feature Rob Lee! This free meeting is open to the public, so please share with your friends and security colleagues! Rob Lee is an entrepreneur and consultant in the Washington, DC area, specializing in information security, incident response, and digital forensics. Rob is currently the curriculum lead and author for digital forensic and incident response training at the SANS Institute in addition to owning his own firm. Rob has more than 15 years of experience in computer forensics, vulnerability and exploit discovery, intrusion detection/prevention, and incident response. Rob co-authored the book Know Your Enemy, 2nd Edition. Rob earned his MBA from Georgetown University in Washington DC. He was awarded the Digital Forensic Examiner of the Year from the Forensic 4Cast Awards. Rob is an ardent blogger about computer forensics and incident response topics at the SANS Computer Forensic Blog. Rob is also a co-author of the MANDIANT threat intelligence report M-Trends: The Advanced Persistent Threat. What is cyber security and why should it matter to business? Infrastructure today and what is required to support ARCYBER? The financial and technological impact of ARCYBER location in Georgia? Cyber security: how does business and the government overlap in this increasingly complex space? The discount code for ISSA members was sent to the ISSA members mailing list this morning. If you're not already an ISSA member, you can join today and request the discount code. If you have any questions, please contact Heather Miner at TAG (heather@tagonline.org). Our next ISSA meeting will be Tuesday October 7 and will feature Bryce Galbraith! This free meeting is open to the public, so please share with your friends and security colleagues! As a contributing author of the internationally bestselling book Hacking Exposed: Network Security Secrets & Solutions, Bryce helped bring the secret world of hacking out of the darkness and into the public eye. Bryce has held security positions at global ISPs and Fortune 500 companies, he was a member of Foundstone's renowned penetration testing team and served as a senior instructor and co-author of Foundstone's Ultimate Hacking: Hands-On course series. Bryce is currently the owner of Layered Security where he provides specialized vulnerability assessment and penetration testing services for clients. He teaches several of the SANS Institute's most popular courses and develops curriculum around current topics. He has taught the art of ethical hacking and countermeasures to thousands of IT professionals from a who's who of top companies, financial institutions, and government agencies around the globe. Bryce is an active member of several security-related organizations, he holds several security certifications and speaks at conferences around the world. If you missed BSides Augusta this past weekend, you can view the videos on the BSidesAugusta YouTube channel! Thanks to all the speakers, sponsors, volunteers, and attendees who made this such a great event! Our next ISSA meeting will be Thursday July 3 and will feature our very own Mark Baggett! This free meeting is open to the public, so please share with your friends and security colleagues. We will also be conducting official chapter business, so if you're an official ISSA member, please make every effort to attend. Mark Baggett is the owner of Indepth Defense, an independent consulting firm that offers incident response and penetration testing services. He has served in a variety of roles from software developer to Chief Information Security Officer. Mark is the author of SANS Python for Penetration testers course (SEC573) and the pyWars gaming environment. Mark teaches several classes in SANS Penetration Testing curriculum including SEC504 (Incident Handing), SEC560 (Penetration Testing) and his Python course. Mark is very active in the information security community. Mark is the founding president of The Greater Augusta ISSA (Information Systems Security Association) chapter which has been extremely successful in bringing networking and educational opportunities to Augusta Information Technology workers. As part of the Pauldotcom Team, Mark generates blog content for the "pauldotcom.com" podcast . In January 2011, Mark assumed a new role as the Technical Advisor to the DoD for SANS. Today he assists various government branches in the development of information security training programs.